SkyCiv has always prided itself on its ability to deliver tools and software to improve education in engineering. STEM Education is at the forefront of future innovation and design, and we believe it is important to support, promote and develop these disciplines wherever we can. These are the future engineers that will create the technology and designs to improve the standard of living of people around us. This is why SkyCiv aims to enhance the learning of such engineering students. For instance our Sponsorship of the Science Olympiad Towers Competition helps high school students use software to model, design and build tower structures as part of an educational competition. In this article, we will explore a case study of Monash University and their use of SkyCiv Software in an interactive, fun, first year design course ENG1001. The focus was on Engineering Design: lighter, stronger, faster. 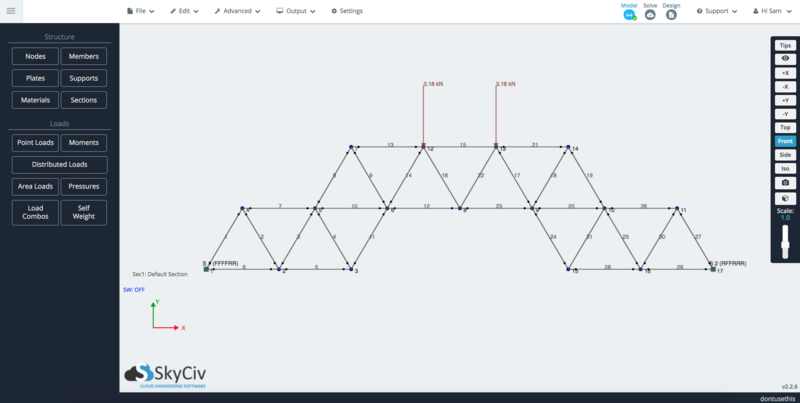 Students use SkyCiv to model the Truss, then apply real life weight to the top of the truss structure. 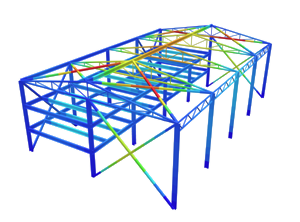 SkyCiv Structural 3D was provided to all 500 students participating in the course, enabling them to model, analyze and design their structures using simulation, rather than trial and error. The software is extremely intuitive, so the students were able to pick up the software quickly. We also supplied a full documentation, so that students can find videos, articles and tutorials on how to use the software. The most exciting part is that these were all first year students! They were so advanced with their understanding of these engineering concepts. 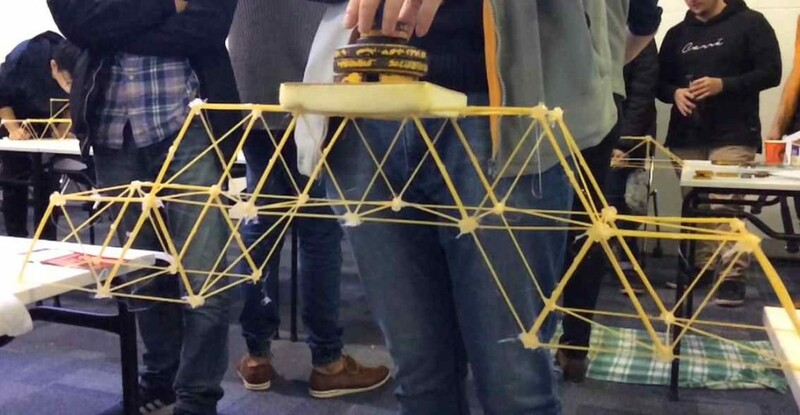 The competition allows students to see the concepts of stress (the material used was spaghetti) and how this plays into the design of a structure. Introducing them to these concepts in an interactive way helps promote Civil and Mechanical Engineering disciplines as a choice for these flexible first year students. I used SkyCiv as part of my Spaghetti bridge assignment and I really appreciated it. Thank to its friendly GUI, I did not need to make much an effort to use it fluently. SkyCiv helped me verify my hand calculation in the report as well as choose the best design. I hope in the future, ENG1001 students will continuous to have the oppurtunity to access this great application. SkyCiv was very useful. It allowed our group to ‘trial-and-error’ a lot of virtual bridges because we could see where members were under a lot of stress (and would therefore need reinforcing) and which members had very little stress (so we could use minimum members to reduce weight). Without SkyCiv, the design process would involve much more guesswork or a lot of tedious manual calculations. I enjoyed using the program, as it provided a neat way to model a truss bridge and also showed which members were in tension and which were in compression. Partnered with the actual loads on each member, this was a very useful tool in analysis. I can see myself using this in the future.